Every, now and again there is a tendency to indulge in the assertion that so and so is the best performer of all time in a particularly sport and track and field is no exception. Indeed, the exploits of Usain Bolt excite such wonder that pundits are going as far as saying he could beat the likes of Carl Lewis and Jesse Owens, two immortal of the track of years gone by, both in their era considered to be at the zenith of human endeavor. There is a uselessness though about our speculation. Would Lewis have beaten Owens, both running in their primes? Nobody knows for certain. 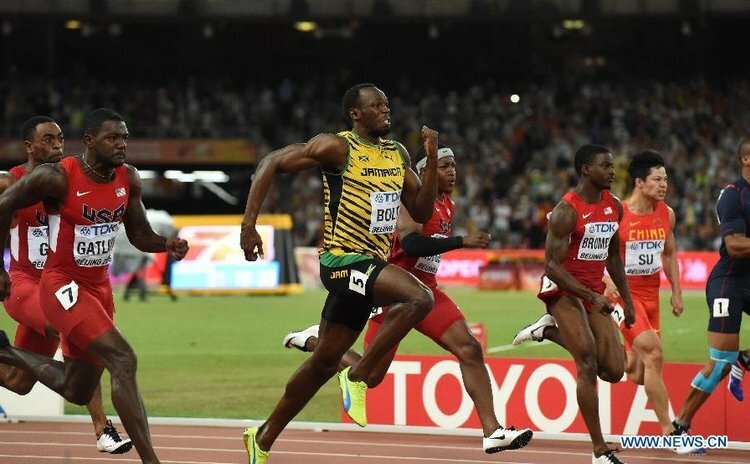 Would Bolt defeat the two, is much a matter of mere speculation. Circumstances alter as conditions change over time. Much really depends on who is making the assessments and how! Even in a sport as quirky as boxing we had some years ago a long drawn out computerized feature simulating bouts of a choice handful of the all time greats like Dempsey, Johnson etc coming right down to Ali. What then? Many old timers insisted that among heavyweights Dempsey was – at his best – unbeatable. Others who have seen Johnson said he was too big for Dempsey and would toy with the white man, and would destroy Ali before breakfast! Supporters of Ali insisted no man could beat him at his best – confident the so called "Greatest" was too elusive to be caught while in full flight. He was too fast and much too skilful. In boxing the variables are many. There is speed, then is skill, there is stamina, there is the factor of mental astuteness, there is the dreadful defining factor of ability to absorb punishment and to withstand pain. And over and above all this is the matter of withstanding the much dreaded judge's decision! A sprint race escapes this latter. The stopwatch and the photo evidence at the finish decides it all – right down to one hundredth of a second. Are we to be swayed by automatic dictates of the clock? Jesse Owens in the late nineteen thirties may have been timed as inarguably over 10 seconds for 100 metres, Carl Lewis a little faster and successively Usain Bolt a bit under 10 seconds. Does that prove anything? All we are sure about is that Owens was the best in his era – good enough to win gold in the 1936 Olympics in the 100 metres, 200 metres and the 4 x 100 metres relay. In addition he set a record in winning the long jump which stood for many years. Carl Lewis did the same in the eighties. And Usian Bolt dominates in our time in the spirits and not only that, he goes on to do the unthinkable of repeating the feat years later, something thought impossible! What do you say? Case closed? The cold evidence of the clock and the uncompromising record of historic continuity speak irrefutably? I don't think so! The devil's advocate in me says "hold a minute!" Clocks have improved and so have the running surfaces. They have in the opinion of the athletes themselves become increasingly faster and faster. For instance, if you can run the 100 metres in 11 seconds on a grass track you are automatically expected to achieve about 10 seconds on a modern track surface. It is simply a matter of physics. There is less resistance in the one instance and you automatically go faster. That is not all. We are not to exclude the significance of improvements in the efficiency of the athletes' running shoes and even their clothes. Such things keep advancing with time by leaps and bounds! Don't rule out consideration of factors like improvements in scientifically tested diets now available to the modern practitioners of the sport, not to forget the manner in which training has become vastly illuminated in the laboratory, so to speak. The finest of fine points is made rather finer with increasing knowledge about medicines to assist athletes to recover quickly from very strenuous exertion in training and from injuries that would pose a stumbling block towards progress. All that is big in the equation towards shaving fractions of seconds in the times delivered for the 100 metres and 200 metres. Owens and Lewis – brought up to date with the current era, would inevitably be faster via the clock record. That's not all. How can we leave out the – for many people the greatest stimulant of all – money. Does it occur to you that Jesse Owens in his time was not allowed to receive a cent for his running? Are you aware he was running just for the pride and distinction of getting a medal? An athlete was ruled rigidly by an amateur code. It was harsh enough to cause a ban to be imposed on one Jim Thorpe with loss of his Olympic gold medal in running, because of his having been accused of previously accepting money for playing baseball! Nowadays an international sprinter is very well paid for his pains in winning gold medals. How much? Sometimes in regular track events the incentive is as much as $20,000 (US) for running, and $50,000 to $60,000 (US) for setting a world record! All this is worlds apart from the time in the early nineteen hundreds when the famed tennis player Suzanne Lenglen circumvented the outlandish amateur code at Wimbledon by her father insisting he be paid one hundred pounds to bring his daughter to play. Otherwise, the star attraction would be missing – and, of course, the crowds who brought in the money at the gates! Money also factors in another sense. Richard Williams only hit upon the idea of nurturing his six and eight year old daughters, Serena and Venus when he understood there were small tournaments paying five thousand dollars to the women winners. It is said he equipped himself with a book and video by the black star Arthur Ashe and along with a basket of 300 tennis balls assiduously placed his daughters on the path to tennis greatness. With one stroke he abolished the notion that blacks were not psychologically suited to tennis. This has changed the tennis landscape forever. Our case ends with the view that money- much more of it, might have made Owens and Lewis faster!